← Electrician Mesa-Landscaping and Lighting Ideas :- landscaping lighting. 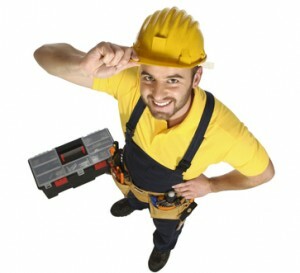 It’s good find a place that offers more than electrician services in Gilbert. Let’s face it. We live in a busy society and we are always on the move. Even in the age of online directories and smartphone apps, its nice to consolidate our services with one provider. It is always a bonus to find a cross-functional service in Gilbert that is a plumber as well as an electrician. Both plumbing and electrical work have one major commonality. If you don’t know what you’re doing, you can get yourself in a world of trouble fairly quickly. With that in mind, licensed contractors are precious jewels when you find them. They are even more precious when they can do more than fix your pipes or your wiring. What about a company that also offers A/C repair in Gilbert? After all, air conditioning is a combination of plumbing and electrical components. So what are you waiting for? Why not get in touch with a company that not only has the skills to repair your plumbing, but who can also do your electrical and your HVAC as well? Eagle Plumbing is a Gilbert Arizona company offering A/C Repair, plumbing, and electrical services. Give us a call at (480) 659-4942, or visit our Google Places Page for more information. This entry was posted in Electrical, Gilbert Air Conditioning Repair, HVAC, Plumbing and tagged A/C repair, air conditioning, air conditioning repair, electrical, plumbing. Bookmark the permalink.